VSUN Energy may become the second Australian flow-battery maker to release a product for the residential market, according to reports. Managing director Vincent Algar told RenewEconomy that VSUN is in “very well advanced” talks with potential suppliers for a consumer-scale redox flow battery for the Australian market. The German electronics, photovoltaics, automation and energy systems manufacturer SCHMID was cited as a likely vendor for vanadium-redox flow batteries with a capacity of 5 kilowatts and 3, 5, 6 and 9 hours of duration. Cracking the admittedly buoyant Australian home energy storage market with a flow battery will not be easy, however. In June of last year, another Australian firm, Redflow, unveiled a 5-kilowatt, 10-kilowatt-hour residential zinc-bromide flow battery called the ZCell. After unexpected failures and halting sales, though, Redflow this year opted to re-focus on other markets, such as telecommunications. The change in emphasis clearly indicated the difficulties in entering the market. 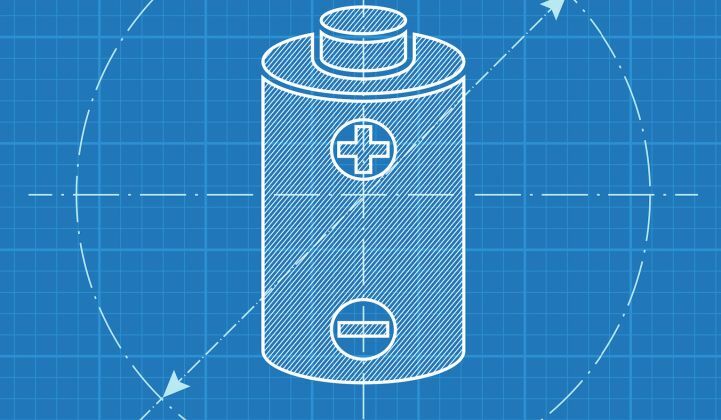 In Australia, as elsewhere in the world, “flow batteries for residential storage have yet to catch on,” said GTM Research energy storage analyst Brett Simon. Although these early adopters may be willing to pay a premium for a battery system, price remains an issue. And while low-volume manufacturing means flow batteries struggle to cut costs through economies of scale, lithium-ion battery prices have “fallen wildly,” Simon said. Lithium-ion's 50 percent cost reduction since 2014 has been aided by ramp-up of manufacturing volumes to feed the growing electric-vehicle industry. For now, “Flow battery vendors claim an advantage over lithium-ion for long durations, and thus VSUN could find a market with customers seeking long periods of backup power or hoping to go fully off-grid,” Simon said. But if lithium-ion costs keep dropping, that edge might be lost, since longer durations could be achieved by simply scaling up cheap battery packs. VSUN, which didn’t answer a request for information from GTM, already looks questionable in terms of cost. Last month’s reports quoted a price of AUD $25,000 (USD $20,100) for a 15-kilowatt-hour system, which is higher in absolute and per-installed-kilowatt-hour terms than the AUD $12,600 (USD $10,140) retail price for a ZCell, as estimated by SolarQuotes. SolarQuotes, a residential solar information site run by a former Commonwealth Scientific and Industrial Research Organization staffer, lists 32 home battery systems currently available on the Australian market. Their cost per kilowatt-hour, assuming one cycle a day, varies from AUD $0.19 to $0.98 (USD $0.15 to $0.79), with Redflow in the middle of the range at AUD $0.35 (USD $0.28), without the price of an inverter. It is unclear how VSUN might improve on Redflow’s residential experience while selling a more expensive product, particularly when “Li-ion prices are projected to continue to fall at a substantial rate over the next few years,” Simon said. “Even at long durations, Li-ion has a solid chance of winning out,” he predicted. One possible advantage is safety. Lithium-ion batteries have occasionally been known to catch fire. This has led to permitting challenges in places such as New York City. Because of this, Australia’s national standards body, Standards Australia, is currently pondering the introduction of new, more restrictive rules about where and how residential batteries can be installed. These rules have “the potential to stymie the industry,” said Simon. Although flow batteries do not pose a fire hazard, they likely won't be excluded from any new regulations. It is hard to see how VSUN could claim any advantage over Redflow, based on available information. Does that mean this new flow battery foray into the residential market is doomed? Not necessarily, said Simon. “Ultimately, VSUN's success will be a matter of finding its niche,” he commented.